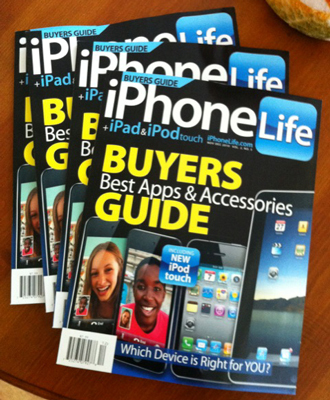 I just recieved my copies of iPhone Life Magazine's Buyer's Guide with my 5-page article on iPad cases in it. 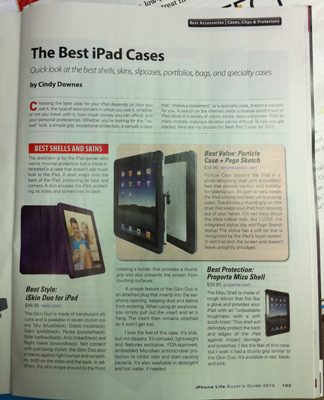 As a writer, it's rewarding to see your name in print, so pardon me for the brag! Interesting! Traveling kit for speakers! Read more and register on the TU Website. 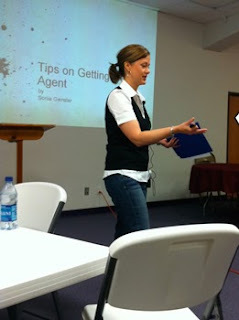 Thanks to my writer friend, Kim Rogers, for sharing this video with me. 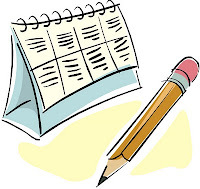 Writer's Digest Annual Writing Competition deadline is May 14, 2010. Grand prize is $3,000 and a trip to NYC. 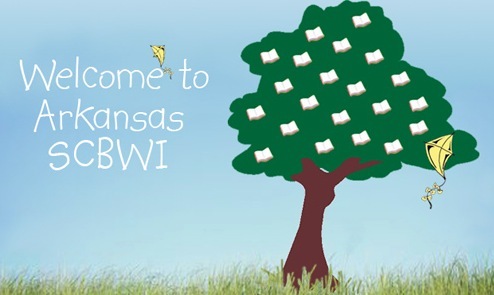 First place winner in each category receives $1,000 cash and $100 worth of Writer's Digest books. Other prizes, too! I recently learned that it can take up to two years to traditionally publish a book, so this got me thinking about subjects that would be of interest in two years. I decided that any event celebrating its 100-year anniversary in 2012 would be a great subject to start working on today. So, here's my list of important people and events that took place in 1912. Perhaps this list will help you will get an idea for your next book. Apr. 17, 1912 - 1st unofficial gold record - Al Jolson's "Ragging the Baby to Sleep"
Aug. 27, 1912 - Edgar Rice Burroughs' publishes "Tarzan of the Apes"
"1912: waitin' on the levee"
OWFI will hold its forty-second annual conference on April 29 - May 1, 2010 at the Embassy Suites Hotel in Oklahoma City, Oklahoma. 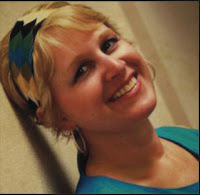 Headlining the conference this year will be New York Times bestselling thriller writer, Dana Stabenow. 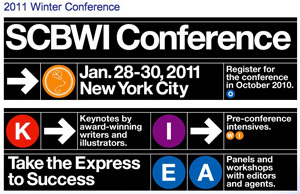 For more info and to register, see the OWFI Website. Write to Publish conference June 9-12 at Wheaton College, Wheaton, Illinois. 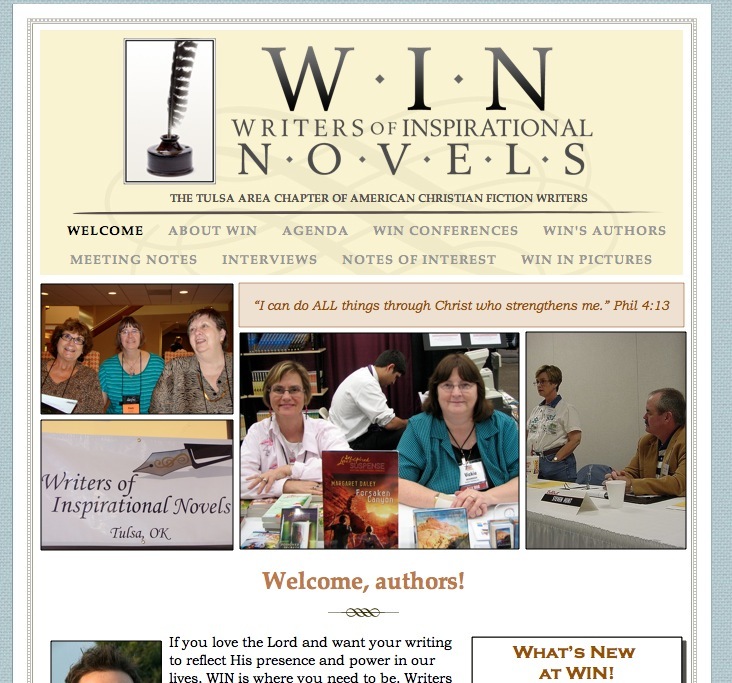 The website says it provides instruction, encouragement, networking and fellowship with other writers and editors. "For almost 40 years, Write-to-Publish has been training writers and connecting them with editors who want to publish their work. Editors from Christian publishing houses will tell what they’re looking for and meet with you one-on-one to discuss your ideas and manuscripts. Editors and well-published freelance writers will teach you how to write a variety of publishable manuscripts, improve your writing skills, find appropriate markets for your ideas, and deal with the spiritual and business sides of writing. Plus you can get feedback on your manuscripts." 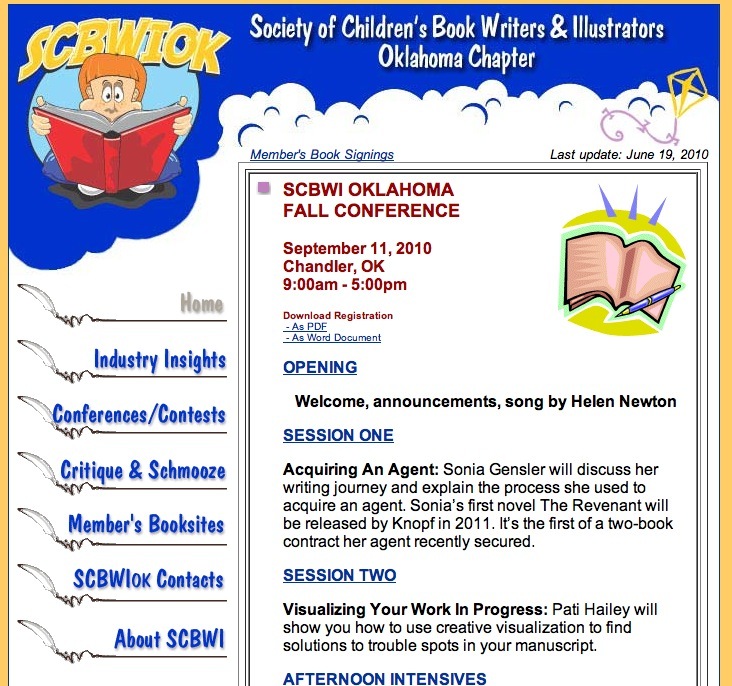 I attended my first SCBWI-OK writer's conference in Oklahoma City, OK, this weekend. 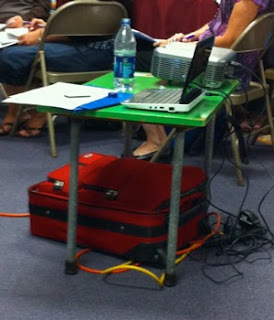 It was great fun, educational, and profitable! 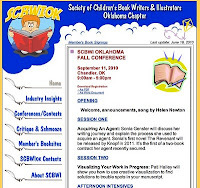 Besides networking with authors, meeting new friends, and learning lots of helpful information, I won three great prizes: a free stay at the hotel, a free critique from Darlene Bailey-Beard, and free admission to the SCBWI-OK conference in Chandler this fall. What a blessing that was! There were several speakers at the conference including an art director, an agent and several editors from various houses. It was interesting to hear about writing from their prospective. My favorite part of the conference was the other authors. I met Anna Myers, Helen Newton, Pati Hailey, Jeannie Hagy, Una Belle Townsend, Gwendolyn Hooks, Susan Meyers, and, of course, Darlene. I got to sit at lunch with Dian Curtis Regan; but unfortunately for me, I was sitting across from her at a big table and there was so much noise behind me that I couldn't hear what she was saying. 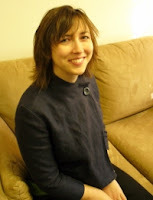 I did enjoy a nice conversation with Louise Jones who sat next to me. There were many others there that I did not get to meet. Hopefully, I'll meet them another day. I also got a children's book I am working on critiqued. Let's just say it still needs a major rewrite! The critique was helpful and definitely pointed out some flaws. Oh those critiques - so helpful, yet so painful! But I'm not giving up. I've got some ideas on where to go from here. So, the conference was well worth attending. I'd say the biggest benefit I got was from networking. 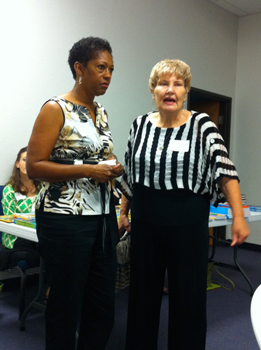 Next on my list: I'm attending a workshop by Susan Mae Warren in Tulsa on April 16-17. I'm looking forward to hearing her, as one of my bucket-list projects is to write a cozy mystery! I also love the WIN group. Maybe I'll see you there? As Young as we Feel is the first book in a heartwarming series featuring four women named Linda. They knew each other in grade school when they formed a club called The Four Lindas. Now, in their fifties, these four women meet again at a school reunion on the Oregon coast. Abby, Janie, Marley and Caroline — all going by their middle names — are in the middle of big changes in their lives. 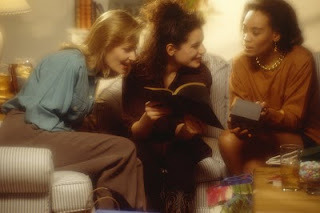 Any woman of Boomer age will identify with at least one of these characters as they watch the four Lindas walk through the unique life challenges of the Boomer generation: marriages in trouble, widowhood, depression, relationships with estranged children, and taking care of parents with long-term care needs. You’ll laugh and cry as you watch them struggle through dating at 50, relocating to smaller homes, and changing careers at mid-life. You’ll be encouraged as you see them step out in faith to do what’s right in spite of the circumstances. It’s not a story of easy answers, but one of spiritual growth through tough times. I look forward to reading the next book in the series to find out what will happen next. Will Abby’s marriage be saved? How will Caroline, a breast cancer survivor, deal with her aging mother’s dementia? How will Marley adjust to the fact that her son is gay and that she will never have grandchildren? Is there romance in the future for Janie, the widow, or for any of the others who are also single? This is a book for and about women — about their trials, their strengths and their friendships. It’s a book you won’t want to miss. Here's some more great tips on POD (publishing on demand) and self-publishing called, Come on Baby, Do the Promotion. It is featured on Christian Fiction Online Magazine. You can read it by following this link. 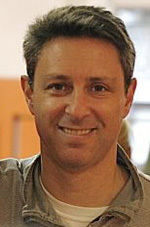 What do Dan Brown, Fern Michaels, T.D. Jakes, and Donald Trump have in common? The answer is — they’ve published E-books or digital versions of books. If authors like Brown and Michaels can make money from E-books, why not you? E-books are digital versions of books that can be read on computers, special E-book readers, or even on some cell phones. They are easy to create and inexpensive to duplicate and market. You can write an E-book on any subject and have it available for sale the same day that you finish it. You can market it on a blog (free) and sell it using PayPal (almost free). What better way to make some extra cash? So what do you write about? What have you done or what do you know that you can share with others? How-to booklets sell the best. Since I homeschooled my children, I began by writing about homeschooling. I also enjoy my iPhone, so I write about iPhone apps. Maybe you’re a student whose learned tricks on how to study effectively; a mother of twins with advice on how to raise two at once; or a cook with recipes for losing weight. Pick a topic you know and start with that. You don’t have to write a whole book, either. Write a small booklet with 15 - 30 pages. People are willing to pay from $3.99 to $6.99 or more for something that will help them in their daily lives. Here’s how: Step 1: Write your book. 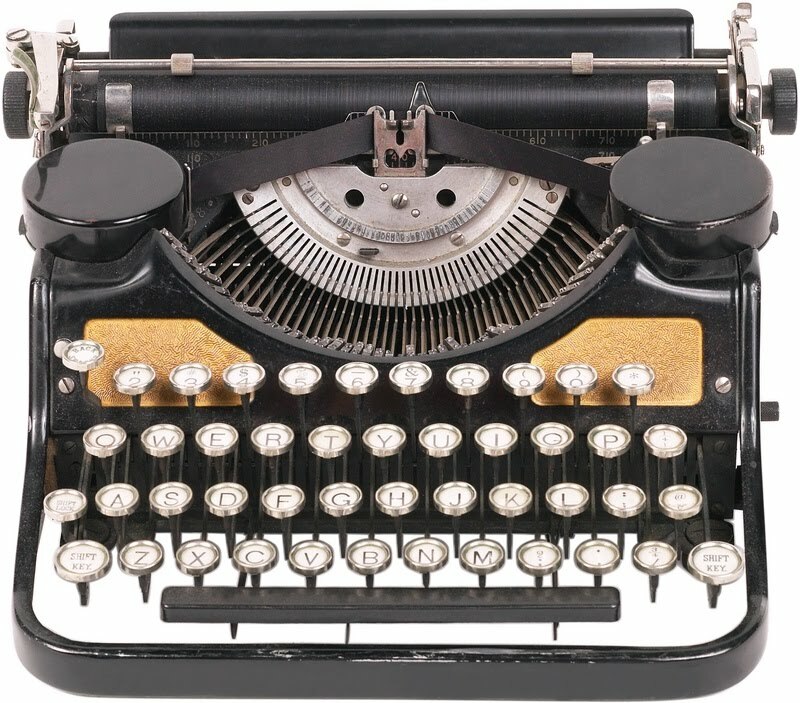 Use your favorite word processor such as Microsoft Word to write and design your book. If you’re able to use a page layout program such as Adobe InDesign or Quark Express, that’s even better. These programs offer more flexibility when working with graphics; however, they are harder to use. Purchase an ISBN number from Bowker (www.bowker.com) and use it on the back of the inside title page, along with copyright information. You’ll have to buy ISBN numbers in quantities of 10, but this will motivate you to write more books! Illustrate your book using royalty-free clip art (www.novadevelopment.com ) or hire a professional illustrator. Check your local college for art students who want to do an internship. This is a great way to get free or low-cost help and help a future artist at the same time! Include the ISBN bar code on back cover, if needed. This can also be purchased from Bowker. Read it out loud. It’s easier to find mistakes if you hear the words. Hire someone to edit the book. It’s impossible to edit your own work objectively. I’ve seen self-published books that were not only full of grammar and sentence structure errors but also redundancies and factual errors. Hire someone who knows English grammar and style. For nonfiction, hire someone who knows the subject to check facts. Trust your editor. It’s hard to give up words you’ve sweated over for hours, but the fact is they probably need chopping! After your book is complete, convert the book into a PDF document using Adobe Acrobat (www.adobe.com) or Word. Acrobat is a more advanced program for creating and editing PDFs, but Word will work for simple E-Books. In Word, choose “Print” from the menu bar. Click on “PDF” in the bottom left corner of the print menu. Click on the "Options" button. This is where you encrypt your book so that it can be read and printed, but not edited. Select the features you want to protect (opening, editing, printing, etc.) and enter a password. Hit “Save” and you're done! 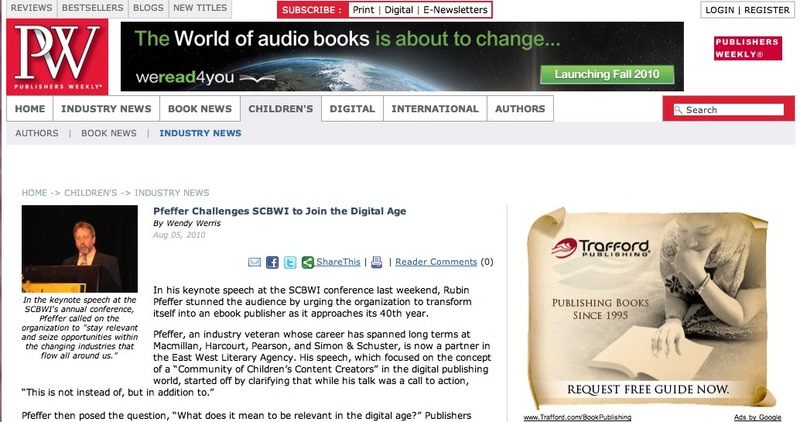 If needed, use Acrobat or Word to create hyperlinks from your E-book to the Internet. Use Acrobat to reduce the file size of the document – this will make it easier to download, a helpful, but not essential feature for smaller books without a lot of graphics. This cannot be done with Word. If you need help learning to use Adobe Acrobat, or any software for that matter, I highly recommend www.Lynda.com. For a small, monthly fee, you can take as many online classes as you want. Create an electronic cover for your E-Book to use on your Web page or Blog. You can create a free one at Groundbreak (www.groundbreak.com/graphics2.html). Step 4: Set up a Web site or Blog to sell your E-Book. Use Weebly for a simple Web site. Do it yourself using Dreamweaver or other website creation program. Hire a professional or look for a student at a local college to do one as an internship. I hired a student to create my website and maintain it myself using Dreamweaver. I learned to use Dreamweaver on Lynda.com. Domain names and Web hosting can be purchased at www.godaddy.com. Instead of a Web site, create a Blog to sell your books. This is very simple to do and cheap! My favorite is Blogger, but Wordpress is also good. Step 5: Arrange to take payment. Obtain a bank account for your business. Obtain a sales tax permit, if required. Obtain a merchant account. I use PayPal as there is no monthly commitment and they only charge a small fee for each E-Book that I sell. My E-Books (in pdf format) are password protected on my Web server. As I receive an order, I respond to the customer by E-mail using an E-mail “signature” (a type of form letter for E-mail). This E-mail provides the customer with a user name and a password with which to access the E-Book. This form E-mail also explains how to download and print the document. For a fee, you can have your E-Books automatically delivered. One company that provides this service is Payloadz (www.payloadz.com). Write a monthly or weekly newsletter. Sample. 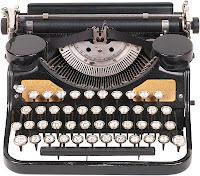 Write a daily blog. Sample. Start a Business Twitter Page. Sample. 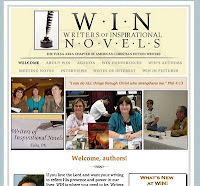 Write for magazines and other blogs whose readers would be interested in your book. Sample. Advertise in magazines whose readers would be interested in your book. I do not pay for many ads. The ads I do pay for are targeted online forums and Web sites that attract my readers. I depend mostly on word of mouth marketing for my nonfiction book sales. Offer to speak for free (or for a fee) on topics related to your book. 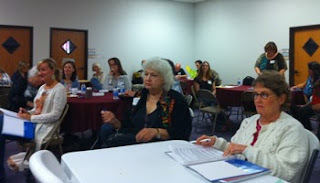 Organize your own workshops and advertise locally. 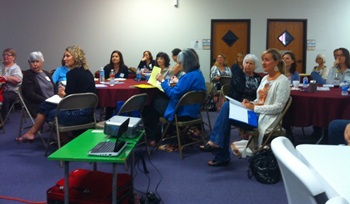 You can do free workshops at the local library, but you cannot charge to attend. Give away information or other resources of interest on your website. Find a way to meet your prospective customers needs and they will start linking to your site - free advertising. I give away a free E-Book and free forms on my Web site. If you want to sell your book in Kindle format or for Sony Reader, you’ll want to read: Amazon Self-Publishing service. E-Books.com. Nostalgia - great music for your suspense writing! Home Cooking and Still Dieting - You Gotta Love It! I was brought up on home cooking. Eating salads three meals a day would not do it for me. So, I ordered this book, Simply the Best All American by Weight Watchers and gave it a try. It now sits on my kitchen counter every day. I love the recipes and I'm still losing weight! The recipes are divided into sections of the country: New England, Mid-Atlantic, The Midwest, The Plains, The South, The Gulf States, The Southwest, The Mountain West, and The Pacific & Northwest. Each section contains recipes that are favorites of that region. For example, from the New England section there are recipes for New England Clam Chowder (9 points - LOW for this soup! ), Yankee Pot Roast (7 points), and Maine Blueberry Crumb Pie (only 5 points and yummy!). In the Mid-Atlantic, where I was raised, there is Maryland Crab Cakes (I love these and only 5 points! ), Garden State Creamed Corn (1 point! ), and New York Cheese cake (only 4 points!) There's also Amish Cinnamon Bread for only 2 points! Moving West - where I am now (in Oklahoma), I wondered how you could make cowboy food low calorie! Well, they did. First, there's Barbecued Beef (5 points), Cowboy Steak also known as Chicken Fried Steak (6 points - amazing! ), and Chicken Enchiladas with Tomatillo Sauce (8 points). After I tried a few of my favorites, I looked through the rest of the book and found all kinds of yummy favorites lightened for my new lifestyle: How about Sweet Potato Pie at 1 point? (Sure, it's only 1/12 of a pie, but it's better than nothing. And if I have extra points, I can increase the serving!) Or how about Jambalaya for only 8 points per serving? Yummy! Or Scalloped Potatoes with Jarlsberg and Smoked Gouda at 3 points? There's even Whoopie Pies for 2 points, and one of my all-time favorites - sweet potato biscuits at only 2 points each! The best thing about these recipes is that there are no preservatives, no trans-fats, and no artificial sugars used. Sodium is decreased by using low-sodium products. And it tastes great! This is the kind of diet I can stay on forever. So far, from June 2009 to today, March 2010, I've lost 48 pounds. And I haven't felt hungry or deprived yet, thanks to cookbooks like this one! Susan May Warren is the RITA Award winning author of 26 novels with Tyndale, Barbour and Steeple Hill. Susan is a popular speaker at conferences around the nation and is the author of the beginning writer's workbook: From the Inside-Out: Discover, Create and Publish the Novel in You! She's coming to Tulsa, Oklahoma! 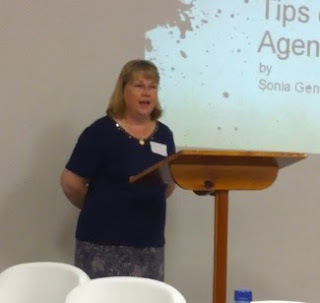 Teaching "The Five Secrets of a Publishable Novel." WHEN: Friday, April 16th, 2010. COST: $10 W.I.N. members; $15 all others. LOCATION: St. James United Methodist Church, 5050 E. 111th E. Ave., Tulsa, OK. 74137. Please park in the west parking behind the Fire Station on Yale. For more information or to register, go to the W.I.N. Web site (click on conferences) or contact Gina Conroy at portraitwriter@gmail.com. I'm not a Windows user, but I have some friends who are. Therefore, I'm sharing this video on how to create and upload a podcast. For those of you using Macs, here's a version for Mac Users: How to Create a Video Podcast. For users of Garage Band on Macs: How to create a Podcast using Garage Band. At our WIN group (Writers of Inspirational Novels) on Saturday, we learned about creating Book Release Trailers. 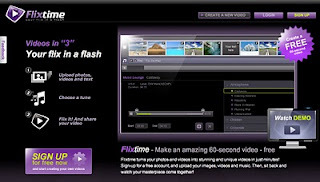 Today, I discovered this resource called, FlixTime, where you can create a 60 second video in only a few minutes. You simply upload photos, videos or text, choose music and share the video. This could be a simple, inexpensive solution to authors on a budget. For my independent book publishing friends - sign up for a trial, 1 month free membership in SPANpro. You don't have to enter your credit card! You'll get archived back issues to SPAN Connection newsletter, access to webinars, and a marketing plan workbook that I found extremely helpful! Read about the price wars of e-books and how the book publishing industry is changing. Kindle: Power to the Independents. Chip MacGregor on Critique Groups. Starting Your Own Critique Group. How to Critique Someone's work. Does anyone have any other resources for joining, participating or organizing a critique group? I love a good story and Colleen Coble’s story about a lighthouse keeper’s daughter is now one of my favorites. Addie Sullivan, the heroine of the story, discovers that she is someone else and presumed dead, along with her real mother. She is taken to live at her real father’s mansion as a tutor to her nephew, but forced to keep her real identity a secret until it can be determined if she actually is the missing heiress. The intrigue builds from here. Addie falls in love, discovers hidden clues to her identity, and becomes the target of someone who wants her dead. The Lightkeeper's Daughter is one of those books that you will not be able to put down, especially towards the end of the book. I was reading so fast at the end that I had to re-read the last few chapters over again because I missed a lot of the details. I especially enjoyed how Coble planted clues to the mystery and Addie had to interpret each clue to locate the next clue. It was like a puzzle that had to be solved, and it kept me rooting for Addie page after page. If you’re looking for a stay-awake, mystery-romance, that’s suspenseful and satisfying, you’ll love this book. This was the first book I read written by Colleen Coble. Now, I can’t wait for Coble to write another book!